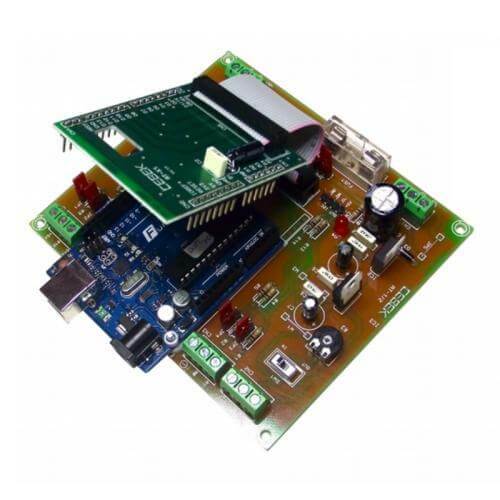 The Cebek AT-01 is an expansion board with two NPN outputs for your Arduino Uno and is suitable for industrial, educational and hobby automation development and design projects. Board supplies a 9Vdc voltage to supply the Arduino. Includes terminal blocks for the connection. Arduino Uno is not included.